Looking for sensational seafood in extraordinary surroundings? Then dive into the Aquarium, a spectacular underwater dining adventure where you are seated around an elaborate aquarium with floor-to-ceiling viewing of more than 100 species of colorful tropical fish. 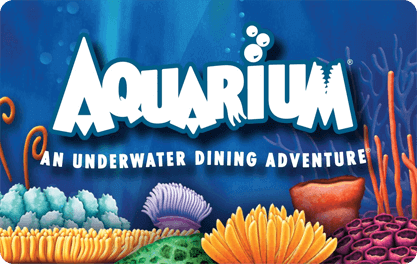 The Aquarium restaurant is located in both the Downtown Aquariums in Houston and Denver, Opry Mills in Nashville and on the Kemah Boardwalk.